Old Town White Coffee in Kuala Lumpur is famous for its Kaya & Butter Toast paired with Soft Boiled Egg. Yum! My friend and I were exploring and doing some shopping in Pavilion Mall in KL when we spotted Old Town White Coffee so we decided to order some snacks - Kaya Toast, Soft Boiled Egg, and coffee for my friend. 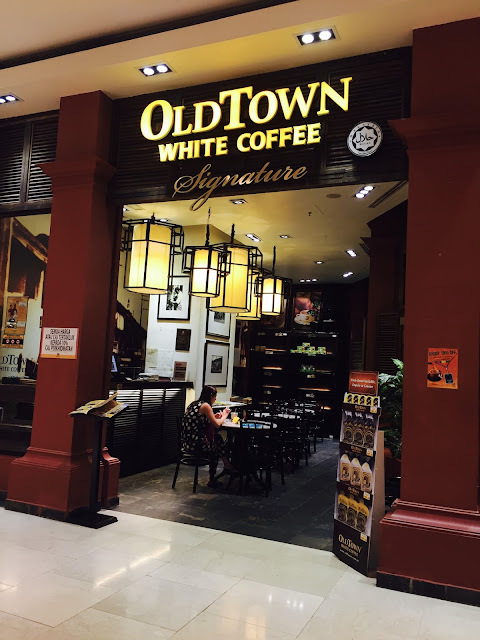 Old Town White Coffee has a nice ambiance which made me think that it's an expensive place but eventually found out that its not. The Kaya & Butter Toast plus the soft boiled egg costs only RM 4.50. 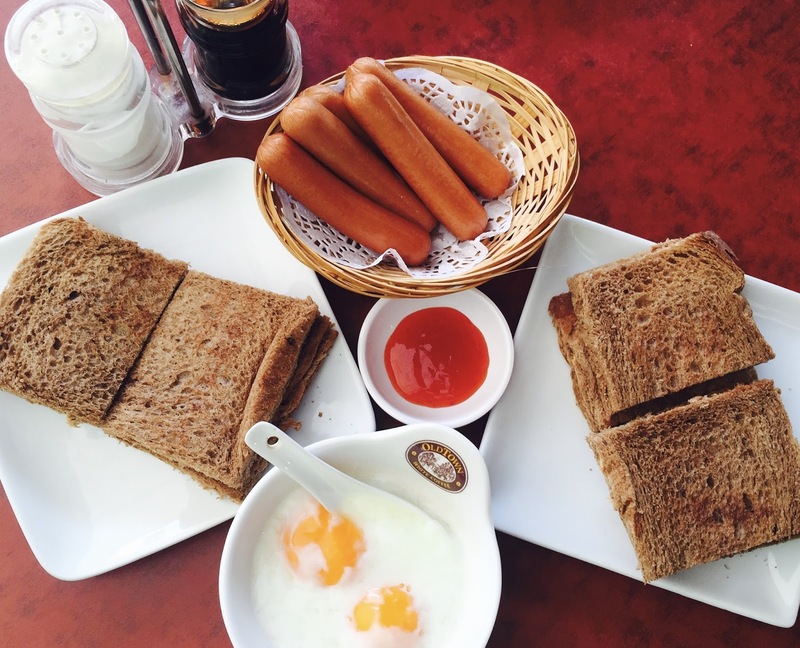 Kaya Toast is only RM 1.50 per order (2 slices). 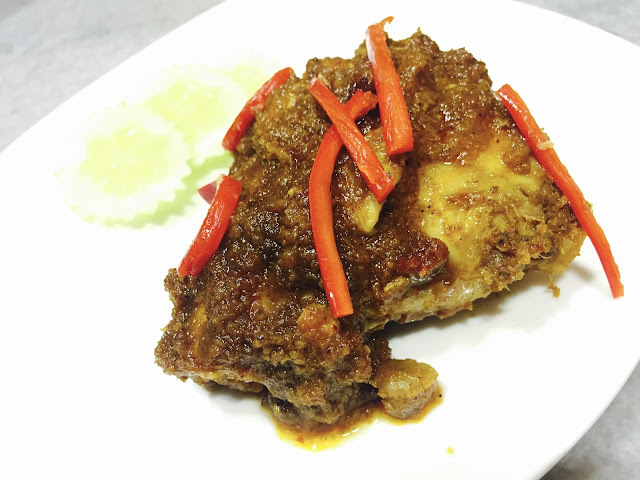 My friend had a sudden craving for chicken rendang so she ordered one, sans rice. The sauce is a combination of coconut milk, chili, and ginger. Spicy but super delish! 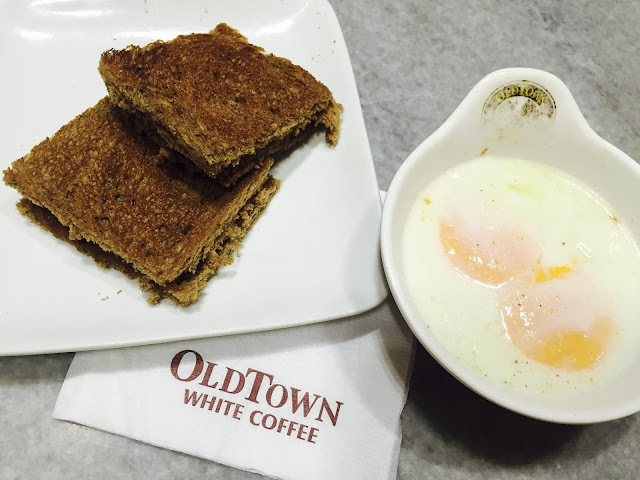 We were really smitten with the Kaya Toast that we decided to have breakfast at Old Town White Coffee in Sungei Wang Plaza on our last day in Kuala Lumpur. We chose to get a table outside and enjoy our breakfast, al fresco. So we ordered 2 sets of Kaya & Butter Toast, sausages, and soft boiled egg. We have a long day ahead of us since its our last day to explore and shop in Kuala Lumpur so we need to be energized. Sadly, the waiter didn't get our order right (huhuhu). We were given peanut butter toast! While Kaya & Butter Toast is more on the sweet side, Peanut Butter Toast is salty. We didn't like it but doesn't want to call the attention of the waiter since he might get in trouble with his supervisor. Luckily, we enjoyed the sausages. 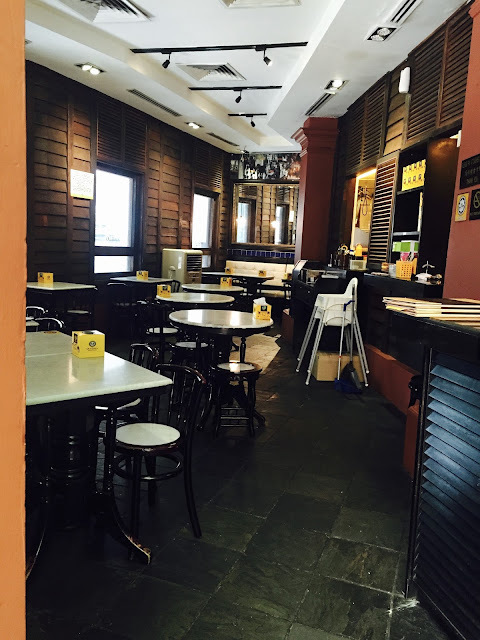 And even if my last meal at Old Town White Coffee is not that great, I'd still go back for the Kaya & Butter Toast, hopefully soon.